Actor Benedict Cumberbatch is has become a global sensation thanks to his starring role in the hit crime drama Sherlock. 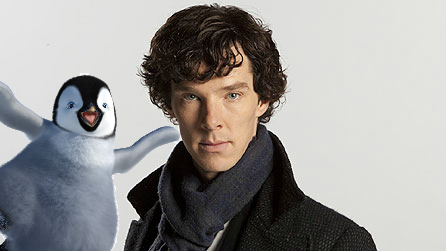 The narrator could not pronounce the word “penguins.” From “Pengwings” to “Penglings,” Cumberbatch just couldn’t do it. It reminded me of a child trying to say “spaghetti” but every time it comes out as “psghetti.” High adorable factor on both counts. Devon Still Shows the World What a Real Man Looks LikeWin a Beco Baby Carrier and 4 Tickets to Mommycon!